"Campbell-Bannerman" redirects here. For other people with this name, see Campbell-Bannerman (surname). 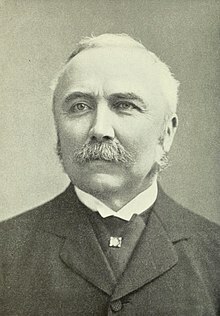 Sir Henry Campbell-Bannerman GCB (7 September 1836 – 22 April 1908) was a British statesman and Liberal Party politician who served as Prime Minister of the United Kingdom from 1905 to 1908 and Leader of the Liberal Party from 1899 to 1908. He also served as Secretary of State for War twice, in the Cabinets of Gladstone and Rosebery. He was the first First Lord of the Treasury to be officially called "Prime Minister", the term only coming into official usage five days after he took office. He also remains the only person to date to hold the positions of Prime Minister and Father of the House at the same time. Known colloquially as "CB", he was a firm believer in free trade, Irish Home Rule and the improvement of social conditions. He has been referred to as "Britain's first, and only, radical Prime Minister". Following a general election defeat in 1900, Campbell-Bannerman went on to lead the Liberal Party to a landslide victory over the Conservative Party at the 1906 general election, also the last election in which the Liberals gained an overall majority in the House of Commons. The government he subsequently led passed legislation to ensure trade unions could not be liable for damages incurred during strike action, introduced free school meals for all children, and empowered local authorities to purchase agricultural land from private landlords. Campbell-Bannerman resigned as Prime Minister in April 1908 due to ill health and was replaced by his Chancellor, H. H. Asquith. He died only days later. 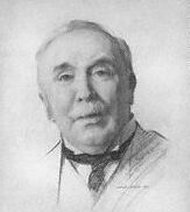 Sir Henry Campbell-Bannerman was born on 7 September 1836 at Kelvinside House in Glasgow as Henry Campbell, the second son and youngest of the six children born to Sir James Campbell of Stracathro (1790–1876) and his wife Janet Bannerman (1799–1873). Sir James Campbell had started work at a young age in the clothing trade in Glasgow, before going into partnership with his brother in 1817 to found J.& W. Campbell & Co., a warehousing, general wholesale and retail drapery business. Sir James was elected as a member of Glasgow Town Council in 1831 and stood as a Conservative candidate for the Glasgow constituency in the 1837 and 1841 general elections, before being appointed to serve as the Lord Provost of Glasgow from 1840 to 1843. Henry's older brother, James, served as the Conservative Member of Parliament for Glasgow and Aberdeen Universities from 1880 to 1906. He was opposed to the majority of his younger brother's policies, and chose to stand down in the same election that would bring Campbell-Bannerman to power. Campbell-Bannerman was educated at the High School of Glasgow (1845–1847), the University of Glasgow (1851–1853), and Trinity College, Cambridge (1854–1858), where he achieved a Third-Class Degree in the Classical Tripos. After graduating, he joined the family firm of J.& W. Campbell & Co., based in Glasgow's Ingram Street. Campbell was made a partner in the firm in 1860. He also served as a lieutenant (promoted to captain in 1867) in the 53rd Lanarkshire Rifle Volunteer Corps, which was recruited from employees of the firm. Following his marriage in 1860 to Sarah Charlotte Bruce, Henry and his new bride set up residence at 6 Clairmont Gardens in the Park district in the West End of Glasgow. In 1871, Henry Campbell became Henry Campbell-Bannerman, the addition of the surname Bannerman being a requirement of the will of his uncle, Henry Bannerman, from whom he inherited the estate of Hunton Court in Kent. Campbell did not like the "horrid long name" that resulted and invited friends to refer to him as "C.B." instead. Nevertheless the inheritance proved useful, as the Campbell-Bannermans were able to take the house at Gennings Park, on the estate, as their country residence, which they did not leave until 1887. The couple never had any children. C.B. and Charlotte were an exceptionally close couple throughout their marriage; in the words of one historian, they "shared every thought and possible moment". They were both reportedly enormous eaters and each weighed nearly 20 stone (130 kg; 280 lb) in later years. Campbell-Bannerman spoke French, German and Italian fluently, and every summer he and his wife spent a couple of months in Europe, usually in France and at the spa town of Marienbad in Bohemia. C.B. had a deep appreciation for French culture and particularly enjoyed the novels of Anatole France. In April 1868, at the age of thirty-one, Campbell-Bannerman stood as a Liberal candidate in a by-election for the Stirling Burghs constituency, narrowly losing to fellow Liberal John Ramsay. However, at the general election in November of that year, Campbell-Bannerman defeated Ramsay and was elected to the House of Commons as the Liberal Member of Parliament for Stirling Burghs, a constituency that he would go on to represent for almost forty years. Campbell-Bannerman rose quickly through the ministerial ranks, being appointed as Financial Secretary to the War Office in Gladstone's first government in November 1871, serving in this position until 1874 under Edward Cardwell, the Secretary of State for War; when Cardwell was raised to the peerage, Campbell-Bannerman became the Liberal government's chief spokesman on defence matters in the House of Commons. He was appointed to the same position from 1880 to 1882 in Gladstone's second government, and after serving as Parliamentary and Financial Secretary to the Admiralty between 1882 and 1884, Campbell-Bannerman was promoted to the Cabinet as Chief Secretary for Ireland in 1884. 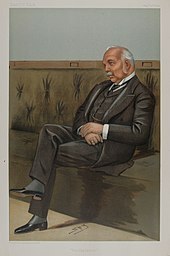 In Gladstone's third and fourth governments, in 1886 and 1892 to 1894 respectively, as well as the Earl of Rosebery's government from 1894 to 1895, he served as Secretary of State for War. During his time in this office, he introduced an experimental eight-hour day for the workers at the Woolwich Arsenal munitions factory. The results demonstrated that there was no loss in production and therefore Campbell-Bannerman extended the eight-hour day to the Army Clothing Department. He persuaded the Duke of Cambridge, the Queen's cousin, to resign as Commander-in-Chief of the British Armed Forces. This earned Campbell-Bannerman a knighthood. In 1895, Campbell unwittingly caused the fall of Rosebery's ministry, when the Earl's government lost a vote over C.B. 's handling of cordite reserves. Unionist MPs unexpectedly forced a successful motion of censure, and the failure led to Rosebery's resignation and the return to power of Lord Salisbury. In 1895 Campbell-Bannerman lobbied strongly to be appointed Speaker of the House of Commons, in part because he sought a less stressful role in public life. Rosebery, backed by the Chancellor of the Exchequer William Harcourt, refused since Campbell-Bannerman was viewed as indispensable to the Government's front-bench team in the lower House. On 6 February 1899 Campbell-Bannerman succeeded Sir William Vernon Harcourt as Leader of the Liberals in the House of Commons, and Leader of the Opposition. The Boer War of 1899 split the Liberal Party into Imperialist and Pro-Boer camps, leaving Campbell-Bannerman with a difficult task of holding together the strongly divided party, which was subsequently and unsurprisingly defeated in the "khaki election" of 1900. Campbell-Bannerman caused particular friction within his own party when in a speech to the National Reform Union in June 1901 and shortly after meeting Emily Hobhouse, he described the concentration camps set up by the British in the Boer War as "methods of barbarism". The Liberal Party was later able to unify over its opposition to the Education Act 1902 and the Brussels Sugar Convention of 1902, in which Britain and nine other nations attempted to stabilise world sugar prices by setting up a commission to investigate export bounties and decide on penalties. The Conservative Government of Arthur Balfour had threatened countervailing duties and subsidies of West Indian sugar producers as a negotiating tool. The Convention's intent was to lead to the gradual phasing out of export bounties, and Britain would then forbid the importation of subsidised sugar. In a speech to the Cobden Club on 28 November 1902, Campbell-Bannerman denounced the Convention as threatening the sovereignty of Britain. It means that we abandon our fiscal independence, together with our free-trade ways; that we subside into the tenth part of a Vehmgericht which is to direct us what sugar is to be countervailed, at what rate per cent. we are to countervail it, how much is to be put on for the bounty, and how much for the tariff being in excess of the convention tariff; and this being the established order of things, the British Chancellor of the Exchequer in his robes obeys the orders that he receives from this foreign convention, in which the Britisher is only one out of ten, and the House of Commons humbly submits to the whole transaction. ("Shame.") Sir, of all the insane schemes ever offered to a free country as a boon this is surely the maddest. However, it was Joseph Chamberlain's proposals for Tariff Reform in May 1903 that provided the Liberals with a great and nationally resonating cause on which to campaign and unify, due to its protectionist nature. Chamberlain's proposals dominated politics through the rest of 1903 up until the general election of 1906. Campbell-Bannerman, like other Liberals, held an unshakeable belief in free trade. In a speech at Bolton on 15 October 1903 he explained in greater detail the reasoning behind Liberal support for free trade. We are satisfied that it is right because it gives the freest play to individual energy and initiative and character and the largest liberty both to producer and consumer. We say that trade is injured when it is not allowed to follow its natural course, and when it is either hampered or diverted by artificial obstacles.... We believe in free trade because we believe in the capacity of our countrymen. That at least is why I oppose protection root and branch, veiled and unveiled, one-sided or reciprocal. I oppose it in any form. Besides we have experience of fifty years, during which our prosperity has become the envy of the world. In 1903, the Liberal Party's Chief Whip Herbert Gladstone negotiated a pact with Ramsay MacDonald of the Labour Representation Committee to withdraw Liberal candidates to help LRC candidates in certain seats, in return for LRC withdrawal in other seats to help Liberal candidates. This attempt to undermine and outflank the Conservatives, which would prove to be successful, formed what became known as the "Gladstone–MacDonald pact". Campbell-Bannerman got on well with Labour leaders, and he said in 1903 "we are keenly in sympathy with the representatives of Labour. We have too few of them in the House of Commons". Despite this comment, and his sympathies with many elements of the Labour movement, he was not a socialist. One biographer has written that "he was deeply and genuinely concerned about the plight of the poor and so had readily adopted the rhetoric of progressivism, but he was not a progressive". Expenditure calls for taxes, and taxes are the plaything of the tariff reformer. Militarism, extravagance, protection are weeds which grow in the same field, and if you want to clear the field for honest cultivation you must root them all out. For my own part, I do not believe that we should have been confronted by the spectre of protection if it had not been for the South African war. Depend upon it that in fighting for our open ports and for the cheap food and material upon which the welfare of the people and the prosperity of our commerce depend we are fighting against those powers, privileges, injustices, and monopolies which are unalterably opposed to the triumph of democratic principles. Helped by the Lib–Lab pact that he had negotiated, the splits in the Conservatives over free trade and the positive election campaign that he fought, the Liberals won by a landslide, gaining 216 seats. The Conservatives saw their number of seats more than halve, and Arthur Balfour, now as Leader of the Opposition, lost his Manchester East seat to the Liberals. Campbell-Bannerman would be the last ever Liberal to lead his party to an absolute majority in the House of Commons. Now with a majority of 125, Campbell-Bannerman was returned to Downing Street as a considerably-strengthened Prime Minister. The defeat of the Relugas conspirators in the wake of this stunning victory was later referred to as "one of the most delicious comedies in British political history". Whereas in the past it had never been used formally, Campbell-Bannerman was the first First Lord of the Treasury to be given official use of the title "Prime Minister", a standard that continues to the present day. In 1907, by virtue of being the Member of Parliament with the longest continuous service, Campbell-Bannerman became the Father of the House, the only serving British Prime Minister to do so to date. In his election address, Campbell-Bannerman spoke in favour of reforming the poor law, reducing unemployment and improving working conditions in sweated factories. The Liberal Imperialist Richard Haldane claimed that Campbell-Bannerman's government "was if anything, too conservative...with that dear old Tory, C.B., at the head of it, determined to do as little as a fiery majority will allow him". However the historian A. J. A. Morris disagreed with this judgment, stating that Campbell-Bannerman was in 1906 what he had always been: a Gladstonian Liberal who favoured retrenchment in public expenditure that was perhaps at odds with any ambitious scheme of social reform. Another biographer, John Wilson, called Campbell-Bannerman a moderate social reformer, stating that Campbell-Bannerman favoured a better deal for the poor and the workers but like Gladstone he was opposed to too much state interference. The government of Campbell-Bannerman allowed local authorities to provide free school meals (though this was not compulsory) and strengthened the power of the trade unions with their Trade Disputes Act 1906. The Workmen's Compensation Act 1906 gave some workers the right against their employer to a certain amount of compensation if they suffered an accident at work. The Probation of Offenders Act 1907 was passed, which established supervision within the community for young offenders as an alternative to prison. Under Campbell-Bannerman's successor, H. H. Asquith, much more far-reaching reforms were implemented. In the matter of House of Lords reforms, which was to become the dominant issue of the 1910 elections, Campbell-Bannerman proposed on 26 June 1907 that the Lords enjoy purely ornamental ancient privileges, but be deprived of all real legislative power; and that the Commons after tolerating for a few months the futile criticisms of the Lords would be empowered by mere lapse of a brief fraction of a year to ignore the very existence of a Second Chamber, and to proceed to pass their statute on their own authority, like the ordinances of the Long Parliament during the English civil war. In essence, he maintained that the predominance of the Commons must prevail, without any appeal to the constituencies (i.e. a further General Election). William Sharp McKechnie characterised this as an "untried one-chambered legislature" and stated that "it could only be carried out by some revolutionary procedure." Campbell-Bannerman's first speech as prime minister endorsed the intent of the Hague Convention of 1907 to limit armaments. In March 1907, he published "The Hague Conference and the Limitation of Armaments", an article in which he cited the growing popular and moral authority of the peace movement as reasons to freeze the status quo in the naval arms race between Germany and Britain. His effort was generally considered a failure; in the words of historian Barbara Tuchman, "the argument was narrow steering between the rocks of conscience and the shoals of political reality and it pleased nobody." The 1907 conference ultimately restricted only a few new classes of armaments, such as submarine mines and projectiles fired or dropped from hot air balloons, but placed no limitations on naval expenditures. In 1906, Campbell-Bannerman created a minor diplomatic incident with the Russian government when he responded to Tsar Nicholas II's dissolution of the Duma with a speech in which he declared, "The Duma is dead; long live the Duma!" Nonetheless, his premiership saw the Entente with Russia in 1907, brought about principally by the Foreign Secretary, Sir Edward Grey. In January 1906 Grey sanctioned staff talks between Britain and France's army and navy but without any binding commitment. These included the plan to send one hundred thousand British soldiers to France within two weeks of a Franco-German war. Campbell-Bannerman was not informed of these at first but when Grey told him about them he gave them his blessing. This was the origin of the British Expeditionary Force that would be sent to France in 1914 at the start of the Great War with Germany. Campbell-Bannerman did not inform the rest of the Cabinet of these staff talks because there was no binding commitment and because he wanted to preserve the unity of the government. The radical members of the Cabinet such as Lord Loreburn, Lord Morley and Lord Bryce would have opposed such co-operation with the French. Clemenceau said...'I am totally opposed to you – we both recognise a great danger and you are...reducing your army and weakening your navy.' 'Ah' said Bannerman 'but that is for economy!'... [Clemenceau] then said that he thought the English ought to have some kind of military service, at which Bannerman nearly fainted...'It comes to this' said Clemenceau 'in the event of your supporting us against Germany are you ready to abide by the plans agreed upon between our War Offices and to land 110,000 men on the coast while Italy marches with us in the ranks?' Then came the crowning touch of the interview. 'The sentiments of the English people would be totally averse to any troops being landed by England on the continent under any circumstances.' Clemenceau looks upon this as undoing the whole result of the entente cordiale and says that if that represents the final mind of the British Government, he has done with us. Campbell-Bannerman's biographer John Wilson has described the meeting as "a clash between two fundamentally different philosophies". The Liberal journalist and friend of Campbell-Bannerman, F. W. Hirst, claimed that Campbell-Bannerman "had not a ghost of a notion that the French Entente was being converted into a...return to the old balance of power which had involved Great Britain in so many wars on the Continent. That...Grey and Haldane did not inform the Cabinet is astonishing; that a true-hearted apostle of peace like Sir Henry Campbell-Bannerman should have known of the danger and yet concealed it from his colleagues is incredible, and I am happy to conclude...with an assurance that in the days of his triumph the Liberal leader, having fought a good fight, kept the faith to the end and was in no way responsible for the European tragedy that came to pass six years after his death". Campbell-Bannerman's government granted the Boer states, the Transvaal and the Orange River Colony, self-government within the British Empire through an Order in Council so as to bypass the House of Lords. This led to the Union of South Africa in 1910. The first South African Prime Minister, General Louis Botha, believed that "Campbell-Bannerman's act [in giving self-government back to the Boers] had redressed the balance of the Anglo-Boer War, or had, at any rate, given full power to the South Africans themselves to redress it". The former Boer general, Jan Smuts, wrote to David Lloyd George in 1919: "My experience in South Africa has made me a firm believer in political magnanimity, and your and Campbell-Bannerman's great record still remains not only the noblest but also the most successful page in recent British statesmanship". However the Unionist politician Lord Milner opposed it, saying in August 1907: "People here – not only Liberals – seem delighted, and to think themselves wonderfully fine fellows for having given South Africa back to the Boers. I think it all sheer lunacy". January 1907 – Augustine Birrell succeeds Bryce as Irish Secretary. Reginald McKenna succeeds Birrell at the Board of Education. March 1907 – Lewis Harcourt, the First Commissioner of Works, enters the Cabinet. Not long after he became Father of the House in 1907, Campbell-Bannerman's health took a turn for the worse. Following a series of heart attacks, the most serious in November 1907, he began to fear that he would not be able to survive to the end of his term. He eventually resigned as Prime Minister on 3 April 1908, and was succeeded by his Chancellor of the Exchequer, H. H. Asquith. Campbell-Bannerman remained both a Member of Parliament and Leader of the Liberal Party, and continued to live at 10 Downing Street in the immediate aftermath of his resignation, intending to make other arrangements in the near future. However, his health began to decline at an even quicker pace than before, and he died nineteen days following his resignation on 22 April 1908. His last words were "This is not the end of me". He remains to date the only former Prime Minister to die within 10 Downing Street. Campbell-Bannerman was buried in the churchyard of Meigle Parish Church, Perthshire, near Belmont Castle, his home since 1887. A relatively modest stone plaque set in the exterior wall of the church serves as a memorial. Robert Smillie, the trade unionist and Labour MP, said that, after Gladstone, Campbell-Bannerman was the greatest man he had ever met. George Dangerfield said Campbell-Bannerman's death "was like the passing of true Liberalism. Sir Henry had believed in Peace, Retrenchment, and Reform, those amiable deities who presided so complacently over large portions of the Victorian era... And now almost the last true worshipper at those large, equivocal altars lay dead". Campbell-Bannerman held firmly to the Liberal principles of Richard Cobden and William Ewart Gladstone. It was not until Campbell-Bannerman's departure that the doctrines of New Liberalism came to be implemented. R. B. McCallum stated that "Campbell-Bannerman was of pure Gladstonian vintage and a hero to the Radicals". Friedrich Hayek said: "Perhaps the government of Sir Henry Campbell-Bannerman... should be regarded as the last Liberal government of the old type, while under his successor, H. H. Asquith, new experiments in social policy were undertaken which were only doubtfully compatible with the older Liberal principles". Other historical accounts, however, have portrayed Campbell-Bannerman as a genuine progressive figure. According to one study, Campbell-Bannerman's views "were broadly those of the party's centre-left: a belief in individual freedom, a desire to help the disadvantaged, an aversion to imperialism and support for Irish self-government." During his time as Prime Minister, Campbell-Bannerman supported such measures as safeguards for trade unions, old-age pensions, and urban planning to improve housing. As far back as 1903, Campbell-Bannerman had spoken of the intention of the Liberal Party to do something about the "twelve million people in England [who] were living on the verge of starvation," During the Thirties, one-time Labour Party leader George Lansbury wrote admiringly of Campbell-Bannerman, describing him as a man who "believed in peace and was not afraid of the word Socialism, and did believe unemployment was a national problem and the unemployed the care of the State." His bronze bust, sculpted by Paul Raphael Montford, is in Westminster Abbey. There is a blue plaque outside Campbell-Bannerman's house at 6 Grosvenor Place in London, unveiled in 2008. Campbell-Bannerman was the subject of several parody novels based on Alice in Wonderland, such as Caroline Lewis's Clara in Blunderland (1902) and Lost in Blunderland (1903). ^ a b c d A. J. A. Morris, 'Sir Henry Campbell-Bannerman (1836–1908)', Oxford Dictionary of National Biography, Oxford University Press, Sept 2004; online edn, Jan 2008, accessed 29 March 2009. ^ James MacLehose, Memoirs and Portraits of One Hundred Glasgow Men (Glasgow: James MacLehose and Sons, 1886), p.19. ^ "Campbell [post Campbell Bannerman], Henry (CMBL854H)". A Cambridge Alumni Database. University of Cambridge. ^ a b Massie, p. 547. ^ Ray Westlake, Tracing the Rifle Volunteers, Barnsley: Pen and Sword, 2010, ISBN 978-1-84884-211-3, p. 134. ^ Roy Hattersley, Campbell-Bannerman (British Prime Ministers of the 20th century series) (London: Haus Publishing Limited, 2005), . ^ Tuchman, Barbara. The Proud Tower. Ed. Margaret MacMillan. New York: Library of America, 2012. p. 881. ^ "Bannerman, Sir Henry Campbell- (1836–1908), prime minister | Oxford Dictionary of National Biography". doi:10.1093/ref:odnb/32275. ^ Spender, Volume I, p. 142. ^ Spender, Volume I, p. 143. ^ Wilson, John (1973). CB – A life of Sir Henry Campbell-Bannerman. London: Constable and Company Limited. p. 349. ISBN 978-0-09-458950-6. ^ Frank Trentmann, Free Trade Nation. Commerce, Consumption, and Civil Society in Modern Britain (Oxford University Press, 2008), p. 157. ^ The Times (29 November 1902), p. 12. ^ John Wilson, C.B. : A Life of Sir Henry Campbell-Bannerman (London: Constable, 1973), p. 394. ^ Self 2006, p. 261. ^ 'Sir H. Campbell-Bannerman at the Albert-Hall', The Times. London. 22 December 1905. p. 7. ^ Michael Ratcliffe, review of Asquith by Stephen Koss, published by Allen Lane, 1976: The Times. London. 26 August 1976. p. 9. ^ "Hague Convention". Encyclopedia Britannica. Accessed 28 April 2018. ^ F. W. Hirst, In the Golden Days (London: Frederick Muller Ltd, 1947), p. 265. ^ W. K. Hancock, Smuts. Volume I: The Sanguine Years. 1870–1919 (Cambridge: Cambridge University Press, 1962), p. 357. ^ All posts referenced in Cook, Chris. The Routledge Companion to Britain in the Nineteenth Century, 1815–1914. Abingdon: Routledge, 2005. p. 52. ^ Daglish, Neal. Education Policy Making in England and Wales: The Crucible Years, 1895–1911. Abingdon: Routledge, 2013. p. 315. ^ Jenkins, Roy. Churchill: A Biography. New York: MacMillan, 2001. p. 123. ^ "Sir Henry Campbell-Bannerman at 10 Downing Street". Archived from the original on 13 March 2003. Retrieved 31 January 2007. ^ Molly Oldfield & John Mitchinson. "QI: Quite interesting facts about 10 Downing Street". The Telegraph. 29 May 2012. Accessed 28 April 2018. ^ a b c The Times (23 April 1908), p. 5. ^ "THE LATE PRIME MINISTER". millbanksystems.com. ^ Robert Smillie, My Life for Labour (Richmond, 1926), p. 242. ^ George Dangerfield, The Strange Death of Liberal England (Serif, 1997), p. 27. ^ W. H. Greenleaf, The British Political Tradition. Volume Two: The Ideological Heritage (London: Methuen, 1983), p. 150. ^ R. B. McCallum, The Liberal Party from Earl Grey to Asquith (London: Victor Gollancz, 1963), p. 140. ^ Friedrich Hayek, New Studies in Philosophy, Politics, Economics and the History of Ideas (Taylor & Francis, 1978), p. 130. ^ Pearce, Robert; Goodlad, Graham (2 September 2013). British Prime Ministers From Balfour to Brown. ISBN 978-1-135-04538-8. ^ MacNicol, John (18 April 2002). The Politics of Retirement in Britain, 1878–1948. ISBN 978-0-521-89260-5. ^ Liepmann, Kate (12 October 2012). The Journey to Work. ISBN 978-1-134-68470-0. ^ Stewart Reid, J.H (1985). Turn of Life's Tide. ISBN 978-0-8166-0115-8. ^ John Simkin. "Henry Campbell-Bannerman". Spartacus Educational. ^ "British war memorials · paul montford". Archived from the original on 2 October 2006. Retrieved 31 January 2007. ^ "Plaque unveiled to the forgotten Prime Minister, Glasgow Herald, 7 December 2008". Archived from the original on 9 June 2012. Retrieved 7 December 2008. Cameron, Ewen A. Maistly Scotch Campbell-Bannerman and Liberal Leadership', Journal of Liberal History, Issue 54, Spring 2007. Greaves, Tony. 'Sir Henry Campbell-Bannerman', in Duncan Brack (ed. ), Dictionary of Liberal Biography (Politico's, 1998), pp. 69–73. Harris, J. F. and C. Hazlehurst, 'Campbell-Bannerman as prime minister', History, 55 (1970), pp. 360–83. Hattersley, Roy. Campbell-Bannerman (British Prime Ministers of the 20th century series) (Haus, 2006). Morris, A. J. A. (January 2008) [September 2004]. "Sir Henry Campbell-Bannerman (1836–1908)". Oxford Dictionary of National Biography. O'Connor, T. P. Sir Henry Campbell-Bannerman (Hodder & Stoughton, 1908). Sinclair, John (1912). "Campbell-Bannerman, Henry" . Dictionary of National Biography (2nd supplement). London: Smith, Elder & Co.
Tuchman, Barbara. The Proud Tower. Ed. Margaret MacMillan. New York: Library of America, 2012. Wilson, John (1973). C. B.: A Life of Sir Henry Campbell-Bannerman. Constable & St Martin's Press. Wikimedia Commons has media related to Henry Campbell-Bannerman. Wikisource has the text of a 1911 Encyclopædia Britannica article about Sir Henry Campbell-Bannerman. Biography on the Downing Street website. "Archival material relating to Henry Campbell-Bannerman". UK National Archives.